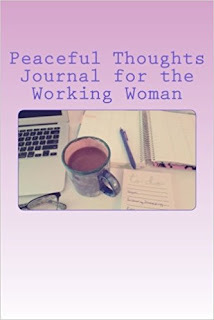 Peaceful Thoughts Journal for the Working Woman, looks like a great self-help guide. What do you have planned for the additional volumes? Thank you. I’m really happy about how it turned out. This is just the beginning. Right now, my plan is to create journals for mothers, teens, and single adults. They are different populations and my goal is help each of them find inner peace by journaling. What do you think makes a great guide? For me, a great guide is created by someone who has had the hands-on experience. It is created by someone who saw a problem/issue and wanted to fix it. A great guide speaks to the reader, making them feel like they are important, answers their questions, and leads them in the right direction. What inspired you when writing Peaceful Thoughts Journal for the Working Woman? My own experience as a working woman inspired me. For 18 years I worked in criminal justice, which at times, could be very stressful. I also commuted 1 ½ hours each way, attended grad school and worked an extra 20 hours at an internship. The latter part of my career, I became a supervisor and mother. I was stressed out to the max. Dating back to high school, I journaled daily. However, once I graduated college and started working, I started journaling sporadically. I would only journal on stressful days. After awhile, I was so exhausted and stressed out, I didn’t know what to write. Although I knew I was upset, sad, anxious or stressed, I couldn’t put it into words. All I knew was that I wanted to be at peace. As a licensed marriage and family therapist, I found my clients were also stressed at their jobs and wanted to be able to journal in way that they could release all their negative emotions and find peace. I began researching journals that would help, however most were blank, or about gratitude. There were a few about self-care, but not many. That is when I decided to create my own journal. I knew what my clients and I need to feel more at peace as working women. I wanted prompts that would help guide someone that was stressed or angry, who couldn’t figure out what to say. I also wanted to incorporate gratitude, because although people may have strong emotions about their circumstance, there is always something to be thankful for. Lastly, I am big fan of self-care. So many times we spend so much time taking care of others, we forget about ourselves. The self-care tips I incorporate in the journal are easy and most of them you can do in the comfort of your own home. What are your ambitions for your writing career? Full time? Part time? Right now I see clients in my private practice full time and I write when I can. My hope is to transition seeing clients part time and writing and speaking part time. There are so many creative ways to write. I would love to do more blogging, create more journals and a workbook, and write a book on some topic. The opportunities are endless. Ultimately, when my young kids go off to college, I will be able to retire and write full time. When did you decide to become a writer? I have always loved writing and feel like I’ve always been a writer. It is in my blood. My mother is a writer and encouraged my brother and I to write since we were children. My brother has written a few screenplays. My uncle has written two books. I remember writing stories and skits as a kid. I had so many stories in my head that needed to come out. When I entered high school and college, writing was no longer fun because I had to write about topics I was not passionate about. After grad school, I took a break from all writing and started back up again 5 years ago. I’ve been writing consistently the last six months. When writing Peaceful Thoughts Journal for the Working Woman did anything stand out particularly challenging? Yes, the usually mental blocks. I would get stuck on the content. What to write, how it sounded, would it be useful? The other challenge was self-doubt. Would anybody buy the book? What if it doesn’t sell or what if it gets a bad review? I finally got past it by telling myself that if it helps just one person feel more at peace, then it was worth it. How did you come up with the ideas and concepts in the Peaceful Thoughts Journal for the Working Woman? Like I previously stated, personal experience and listening to my therapy clients helped me come up with the ideas for the journal. Researching other journals and seeing what I liked and didn’t like assisted in me creating my own journals that fit the experience I was looking for. What do you like to do when you are not writing? When I am not writing, I love spending time with my family. If we are just sitting at home on the couch together, going out to eat, or going on vacations, I enjoy it. I also like spending time with friends. I love reading psychology, self-help and non-fiction books. Lastly, I love to travel. Both locally and internationally. If I could obtain a speaking gig about my book in Turks and Caicos, I would be in heaven!! They can go to my website www.peacefulthoughtstherapy.com or follow me on Twitter (@PeacefulMFT) or Facebook (@PeacefulThoughtsTherapy). They can also shoot me an email at mpho@peacefulthoughtstherapy.com. Thank you! 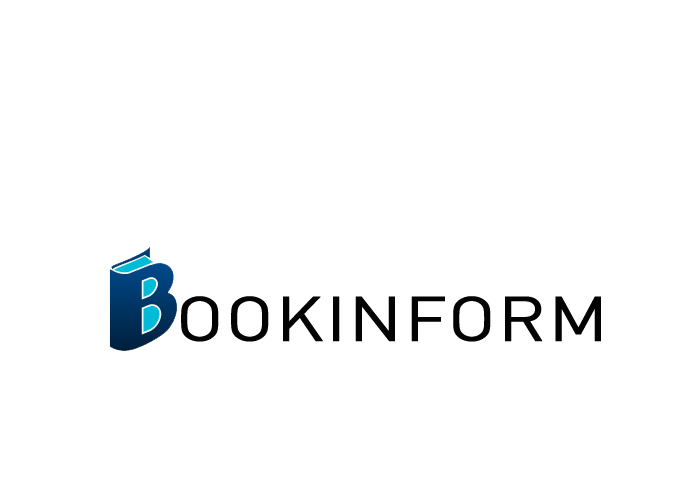 © BookInform Press Release and Distribution | All rights reserved.